At the 1981 ITE Annual Meeting in Boston a seminar was convened on the role of the urban traffic engineer. It featured some of outstanding veterans of the profession, and each offered their insights on the role of the urban traffic engineer. Speakers included Bill VanGelder from Seattle, Harold Michael from Purdue, and Bill Mc Grath who was once the Traffic Commissioner for the City of Boston. The advice from these speakers on how to be effective in the role of an urban traffic engineer is still valid because human beings are still involved in the process of local government and their motivations today are similar to the 1980's. Bill McGrath's insights included commentary on the effectiveness of various urban traffic engineers that he had observed, but his general observations are the ones that provide guidance for the urban traffic engineers of today. He defined the goal of the urban traffic engineer to be to promote the safe and efficient movement of people and goods. Any action that you take should be measured against that goal. He urged traffic engineers to take a broad view of their responsibilities and to measure what they do against that goal. He noted that effective traffic engineering is more than signs, signals, and pavement markings. If you limit yourself to being the sign hanger, signal hanger, or pavement marker your view is too narrow. You need to be involved in the planning and finance of roads as well. Bill VanGelder suggested the approach should be, "if it moves, it's mine." That gets you into transit operations, pedestrian movements, and bicycles. Bill McGrath noted that traffic engineers need to cultivate a constituency for better transportation. This typically includes the business community. He also noted that it is often the last 10% of the project expense that makes it all work. He would, however, suggest that the traffic engineer be involved from the very beginning so that the facility is the right size, the right shape, and in the right place. Traffic engineering is a most challenging and interesting profession because it requires the statics of the objective engineering process and the dynamics of applying the scientific knowledge to the political environment of local government. You must have supporters and allies as you plan, design, and operate your transportation system to promote the safe and efficient movement of people and goods. Richard F. Beaubien, PE, PTOE is a Professional Traffic Operations Engineer and Managing Director at Beaubien Engineering. 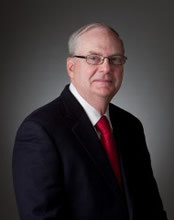 He was previously Transportation Department Head at Hubbell, Roth & Clark, Consulting Engineers for more than 23 years. Mr. Beaubien's employment experience includes 5 years as a highway engineer with the Federal Highway Administration and 14 years as the traffic engineer for the City of Troy, Michigan.